Lock in long-lasting sleekness and terrific shine—in style! Diva's Digital Styler is an expertly engineered hair straightener that features floating plates infused with macadamia, argan oil and keratin to generate incredible sleekness and shine in all types of hair. Its digital heat settings range from 110°C to 235°C, giving you great control when dealing with different hair types and textures. It's designed to be comfortable and easy to use, offering single-stroke styling with a fast heat-up time and superb heat recovery. It also has the added energy-saving feature of a 1-hour auto shut-off. 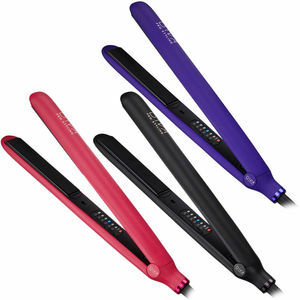 The Diva Digital Styler comes complete with worldwide multi-voltage and a UK/EU plug adapter for optimum styling, wherever you are. It's supplied with a non-slip, heat-proof silicone mat. 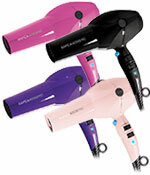 Available in 3 colours designed to match the Diva Rapida 4000: Magenta (Pink), Onyx (Black) and Violet (Purple). £41.99 (inc. VAT) Why no VAT? We're a trade wholesaler and quote our prices without VAT to help our VAT-registered customers understand the true cost of a purchase. A heat-resistant thermal glove that has been specially developed to be used to protect you when styling. Protects hair from heat when styling with straighteners, tongs, wands or blow dryers. Comes in a 150-ml bottle and has a hold level of 2. The UK's leading thermal protector. 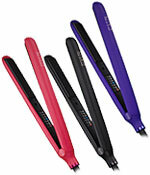 Ideal for use with ceramic hair straighteners, curling tongs or when blow drying. Moistened wipes with an antibacterial action designed to remove styling product residue from kit like straighteners, tongs and even salon furniture.